Alexandra Ulysses is a 13-year-old girl from South London who has had visual impairment since birth, and in addition, 3 years ago she lost sight in her right eye. Alex is a very energetic and active person who loves singing and listening to music. She also enjoys watching Roman Atwood and Lance 210 on YouTube. Being full of energy, Alexandra loves physical activities such as zip wiring, rock climbing, abseiling and horse riding. Alex’s visual impairment affects her ability to see a certain distance. This results in Alex having to look closely at certain things such as writing; judging fast moving objects like catching a ball can also be a problem. Alex is a pupil at a local mainstream school, where participating in team sports activity can sometimes be a bit daunting. So Alex, who has been attending Vision Impaired groups since she was 6 years old, wanted “to learn new skills” and she joined the Health and Well Being South London Club organised by the Royal Society for Blind Children, and delivered by our Crystal Palace FC Foundation coaches. Alex enjoys these twice-monthly Saturday sessions held at the Crystal Palace National Sports Centre, which focus on a variety of sports. The objective is always on having fun whilst developing the vital fundamentals of movement such as balance, agility and coordination. These sessions have enabled Alex to grow her confidence. She’s now made a new group of friends that she regularly sees at other events and contacts on social media. The important thing for Alex is the skills that she can adopt as she takes part in our sessions. Admittedly, she’s not a massive football fan but she really appreciates the work that the CPFC Foundation coaches do to help her in other areas. 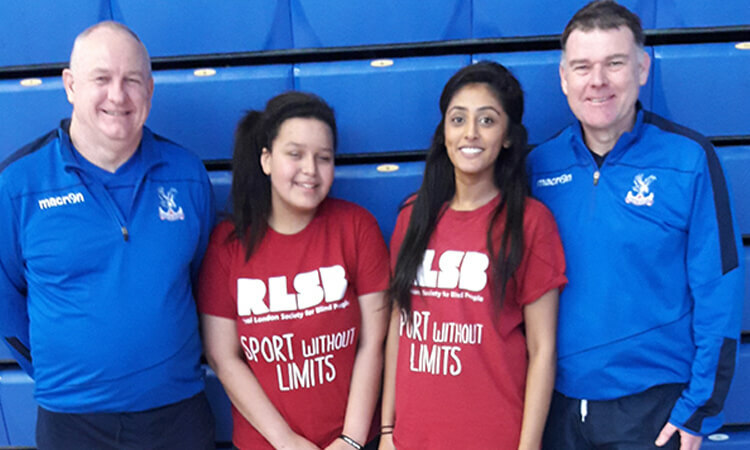 Ginisha Vekaria, Community Youth Sport Worker from the RSBC, observes the following on Alexandra’s and the CPFC Foundation’s involvement with the club. 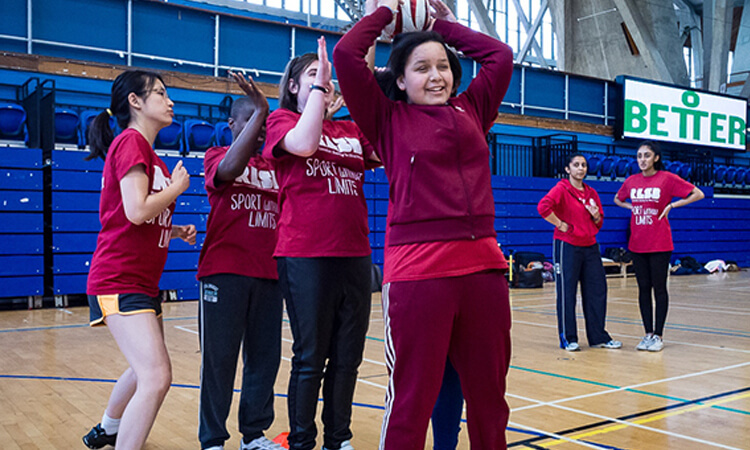 The CPFC Foundation support people of all ages with disabilities to improve their physical and social skills through the power of inclusion and sports participation.